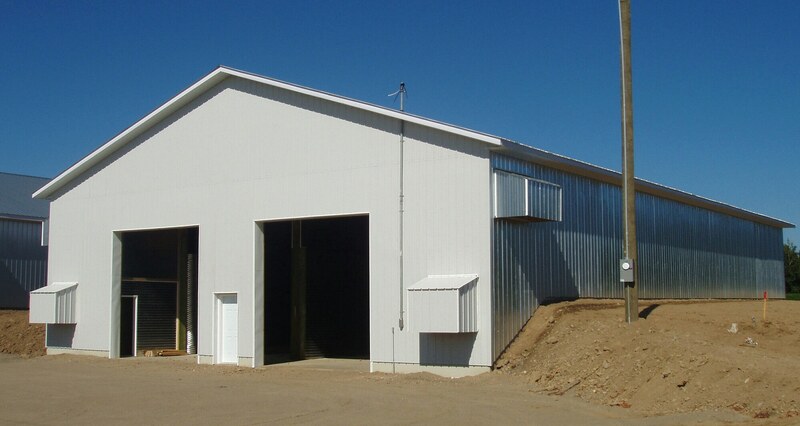 Amvic ICF offers a highly durable and strong wall construction system for barns. The built structure is able to withstand severe weather conditions such as fires, hurricanes and tornadoes. For multiple barn applications, e.g. pole barns, dairy, potato, grain etc., the increased air tightness and thermal resistance increases energy efficiency while the addition of thermal mass also helps moderate temperature fluctuations. The ICF walls are mold, mildew resistant and help reduce rodent and insect infestations. The combination of all these factors contributes to a better product quality with less product perishing, increasing overall return on investment. 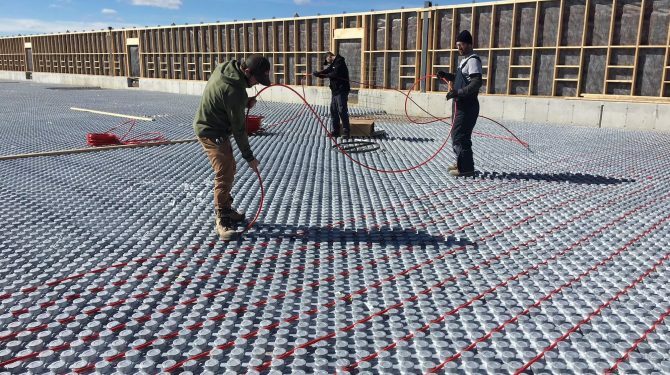 Ampex hydronic radiant heating is great solution for in floor heating in a wide range of barn applications. The heat is evenly distributed, unidirectional from bottom to the top with consistent intensity and therefore required less mechanical equipment to create high levels of air flow. In the case of livestock and poultry barns, the heat source is closer to the animals themselves creating a warm and comfortable environment. The combination of the rigid EPS insulation and the hydronic radiant also allows the straw bedding thickness to be reduced since it no longer needs to function as insulation but only as a cushion for the animals. 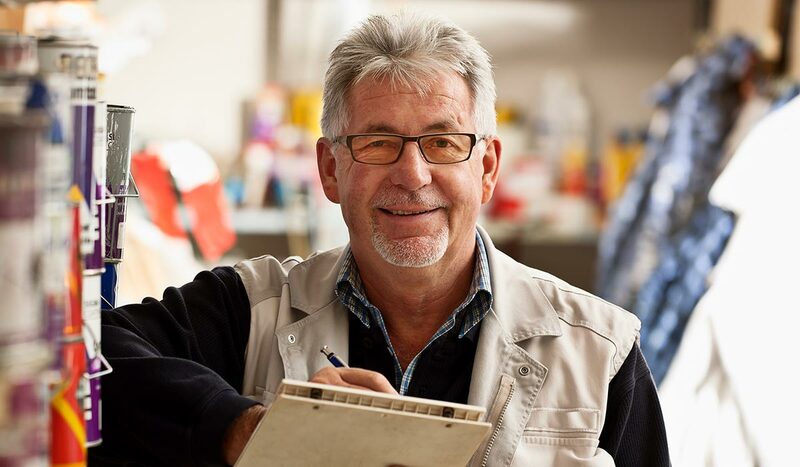 The panels are easy to carry and install and do not need specialized tools or skills resulting in reduced labor costs, breakage and replacement.